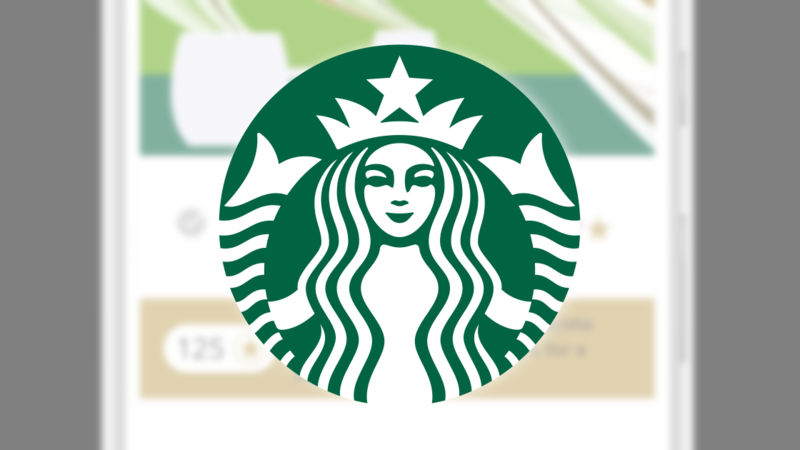 The Starbucks app allows customers to pay for their caffeine fix and earn rewards points for subsequent coffee runs without using cash or a card. It only works at Starbucks, obviously. Despite the fact that payments through Google Pay and Apple Pay are now accepted at more than half of US merchants (and more than 80 percent take Samsung Pay), the Starbucks app is currently the most popular mobile payments platform—and it's projected to stay that way. 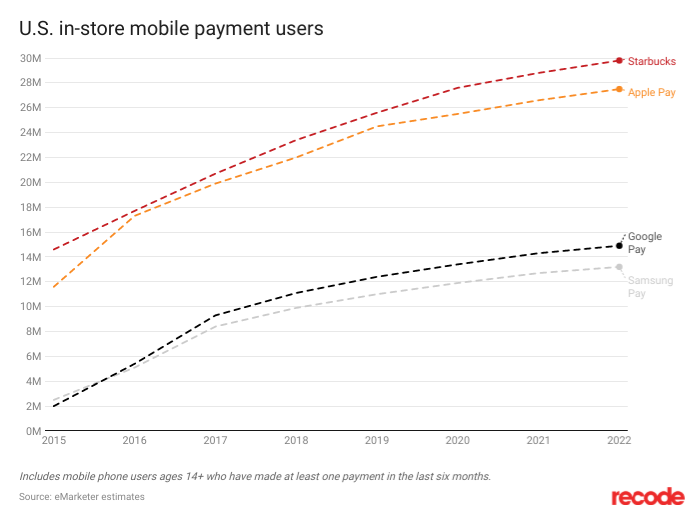 More than a quarter of smartphone users in the United States older than 14—something like 55 million people—are expected to make an in-store payment using their phone by the end of the year. More than 40 percent of that 55 million will do it using the Starbucks app. Starbucks says that in its last fiscal quarter, about 12 percent of transactions in its US stores were completed using its app. Starbucks and Apple Pay are pretty close in terms of usage, but Google Pay is used less than half as often—and despite enjoying the widest merchant compatibility, Samsung Pay is bringing up the rear. It helps Starbucks that its app is available on both Android and iOS, and that the company's customers are notoriously loyal. But hey, you can still use Google Pay there if you want.